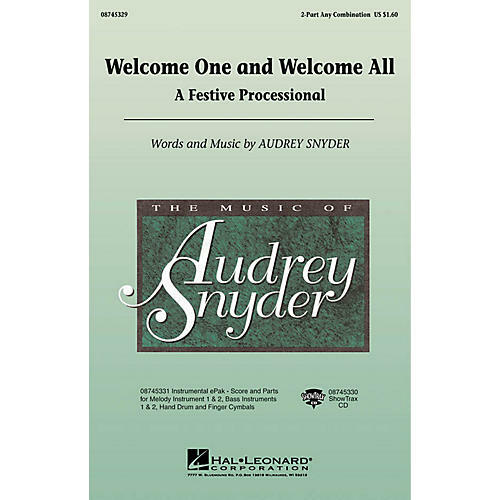 Set in a buoyant medieval style, this lively original by Audrey Snyder is the perfect opener for your madrigal dinner or concert performance. Accompany with recorder, cello, hand drum or finger cymbals or a variety of other options for a festive processional.Available separately: 2-Part any combination, ShowTrax CD and Instrumental ePak that contains Score and Parts for Melody Instruments 1 & 2, Bass Instruments 1 & 2, Hand Drum and Finger Cymbals. Performance Time: Approx: 1:30.